Paloma Faith show, Radio Everyone pop-up station, devised by Richard Curtis for the United Nations’ Global Goals project. 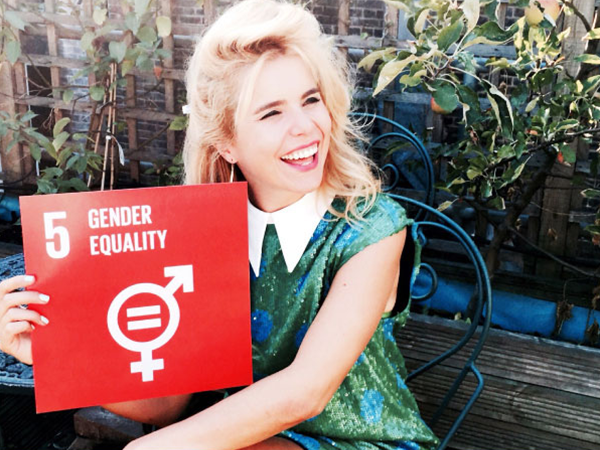 Singer-songwriter Paloma Faith presents her hand-picked selection of songs to empower women and girls across the world as part of goal 5 of the UN Global Goals – Gender Equality. Paloma calls on her friends – actor Gemma Arterton and comedian Katherine Ryan to share their experiences. Music from Whitney Houston to Bikini Kill, via Grace Jones and Dolly Parton. You can find out more about Radio Everyone and the Global Goals.